Is there anything that says snow day more than a steaming cup of hot chocolate? When we were kids my Mom always warmed us up after playing in the snow with some hot chocolate. Just warms you right up. We don't have as many snow days as we did when I was a kid. When we do get some snow, I make sure to make extra special memories with my kids. Sleigh riding, snow angels, snowmen, its always lots of fun. My husband is just a big kid at heart so he is usually the first one to grab a sleigh and go down a hill. 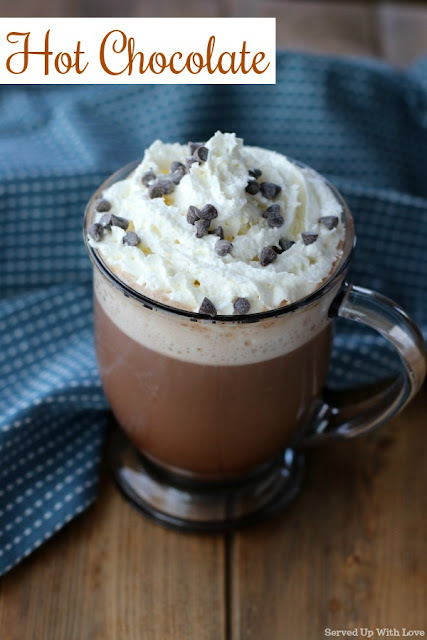 If you have never made hot chocolate before, this is a great recipe to try. It has super simple ingredients that are common in most pantries. 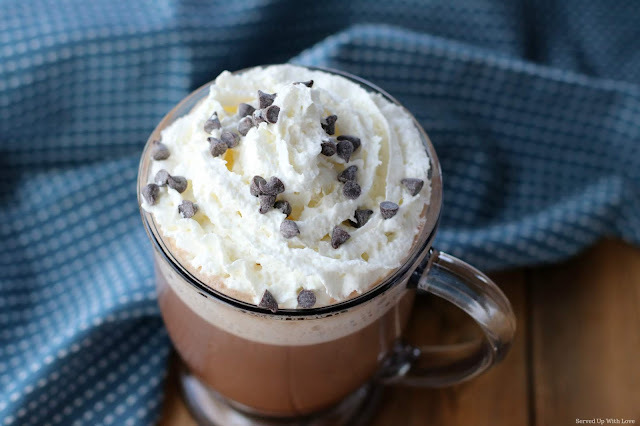 If you want this ready and waiting when you come in from some snow fun, place the prepared hot chocolate into a crock pot on the warm setting. It will be still warm when you are ready for it. Stay warm my friends! 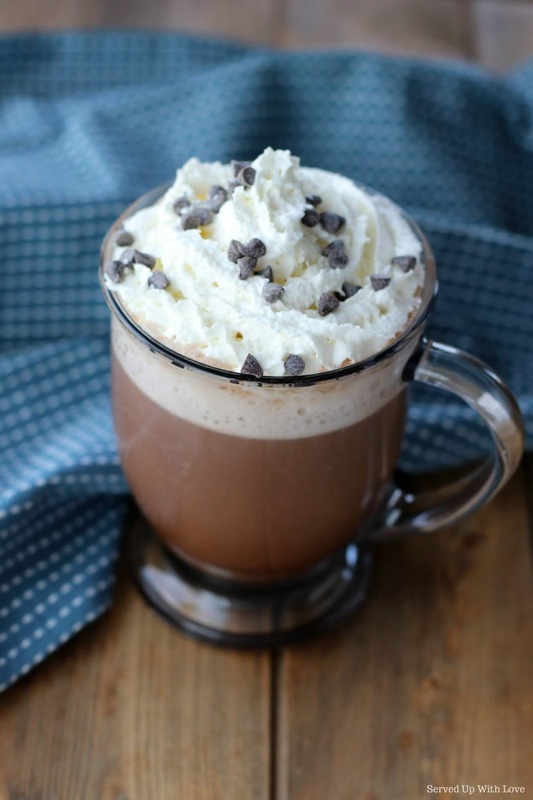 If you love this recipe, you may also enjoy this Nutella Hot Chocolate. Its warm, nutty, and so delicious! And this Crock Pot Creamy Hot Chocolate is to-die-for. 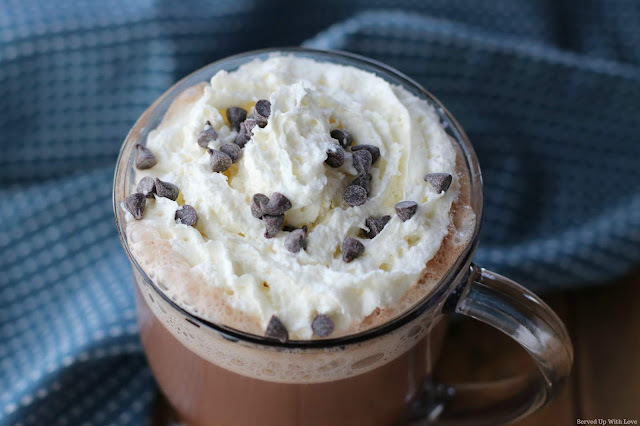 Perfectly warm and chocolaty homemade hot chocolate recipe that will chase all the winter blues away. Mix sugar, cocoa, and salt in saucepan, stir in water. Cook and stir over medium heat until mixture boils, boil and stir two minutes. Stir in milk and heat. DO NOT BOIL. Remove from heat and add vanilla. Serve with your favorite toppings.